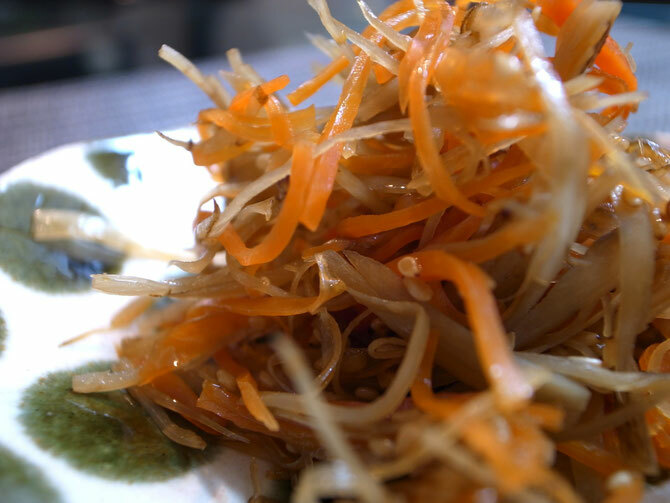 KINPIRA is a way of cook that cooks vegetables with soy sauce and sugar. GOBOU means burdock and this time, I used carrots as an extra vegetable. First, cut burdocks and carrots in fine stripes and cook them with sesame oil in a hot pan. When the vegetables are almost cooked, taste them with Sake, soy sauce, Mirin and bit of sugar. Usually sugar is only used for its sweet taste but I like using Mirin instead of sugar because it gives lighter sweetness. 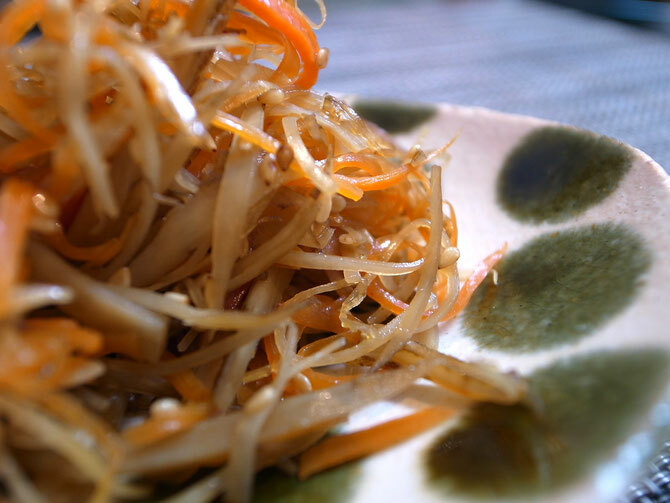 KINPIRA is one the most common Japanese home cooking dish. 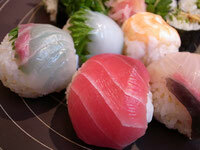 The dish is very healthy for its plenty of vegetable fibers and is also good for preserving. KINPIRA is not a fancy dish but it always gives you homey taste. 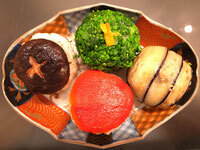 Basically you can use any kinds of root vegetables for KINPIRA and it is fun to find your favorite KINPIRA.